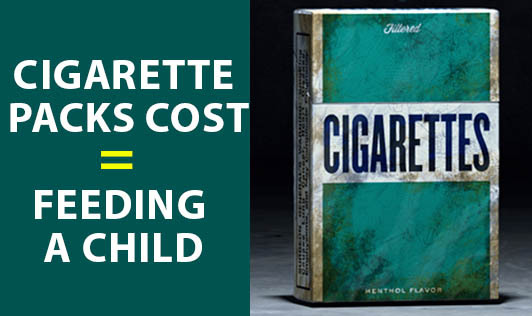 Spend on a hungry child instead of on a cigarette pack today! May 31st is World No Tobacco Day. DNA newspaper along with ISKCON Food Relief Foundation, has come up with a novel way of spending your money to feed a hungry child. Just donate Rs 900 (the average cost of 9 cigarette packs). This money will be used by the foundation's Midday Meal program to provide an underprivileged child, one nutritious meal everyday, for one full year. It will ensure children continue their education and don't look for menial jobs to satisfy their hunger. Reach out to a hungry child instead of to a cigarette, today!